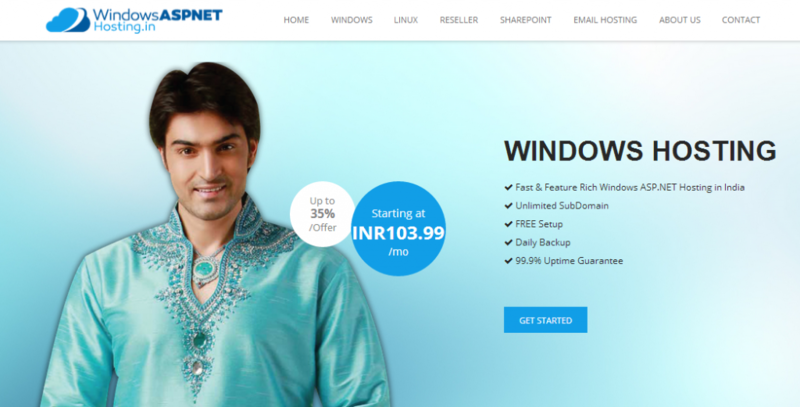 CheapASPNETHostingReview.com | Best and cheap ASP.NET Core 1.0 hosting. 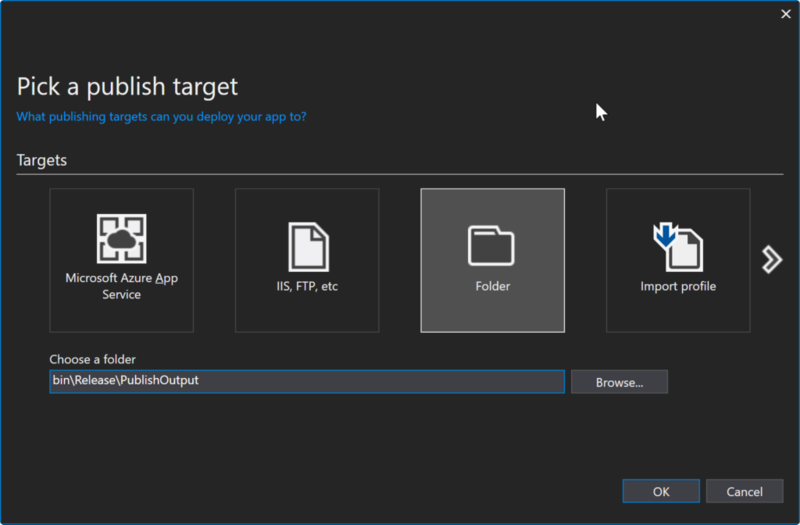 In this article, we will review how to deploy an ASP.NET Core application to IIS. Deploying an ASP.NET Core app to IIS isn’t complicated, but ASP.NET Core hosting is a little different than ASP.NET. Change Identity table property names. Change Identity table datatype of primary key. When you decide to use ASP.NET Core Identity it will generate some tables used to store data for users and other things. Prior to it, let’s take a brief definition about ASP.NET Core Identity. Released on 2016 and from the name we can say it’s all about identity of the users, you can manage login and Logout functionality, create an account also you can use external login providers such as Facebook, Google, Microsoft Account and Twitter. In other words, you can say, it gives you the ability to make an authentication and an authorization. I am using an Enterprise edition but you can use any edition, which is available to you. 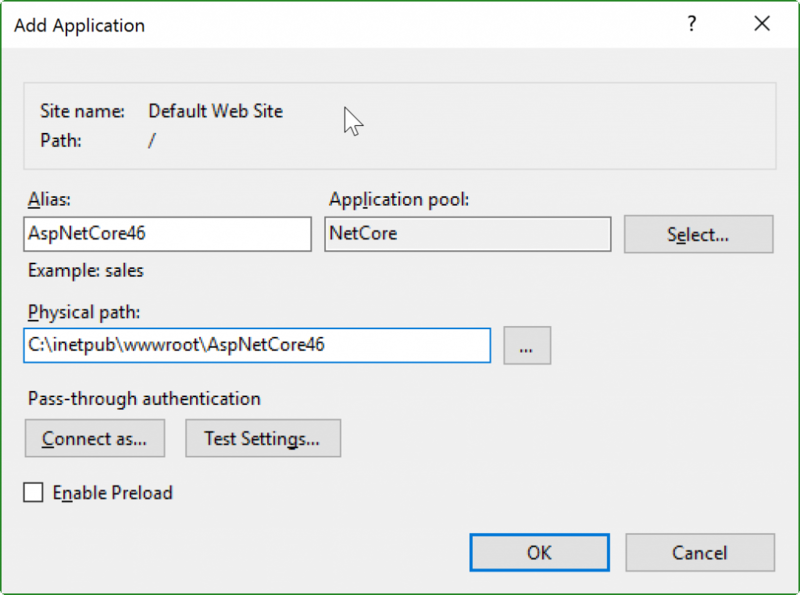 Click ASP.NET Core Web Application and give it a name, as shown below. Click Change authentication, select an individual user account and click OK, as shown below. Now, you need to create the database. Go to appsettings.json file and edit your connection string, if you want. I am using SQL Server 2016, so this is my appsettings.json file and it looks, as shown below. Now, in Package Manager console, write Add-migration command, followed by the name of this migration command like this and wait for some seconds. Now, update the database and click enter. Now, go to the database and refresh it. 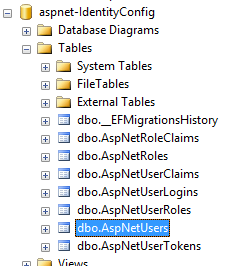 You will find aspnet-IdentityConfig database with some tables created by default like AspNetUsers table. We will use this table to achieve our goal. Now, how can we change this table name from AspNetUsers to AspUsers as example. It’s database stuff, so we can achieve this from ApplicationDbContext class. 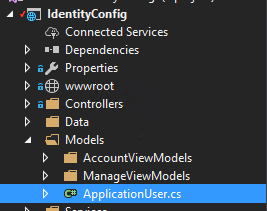 To be specific from OnModelCreating method into this class, we can customize our ASP.NET Identity model and override the defaults like change table name, property name and others. We will change the table name now from AspNetUsers to AspUsers by this code inside OnModelCreating method. Proceed, as shown below. 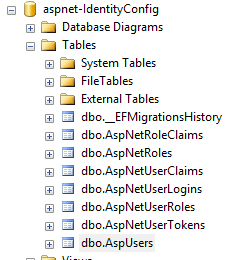 Note- After any customization in the tables, you should make database migration and update it to reflect the changes. First, write add-migration. Subsequent to the migration, update the database. Now, refresh the database and you will find the name changed to AspUsers. Because IdentityUser has the primary key we want to pass our new primary key datatype. As you can see we need to pass our primary key as example int datatype to IdentityUser<int> . And because every user has roles we will need to make this change in roles also by creating new class ApplicationRole which will inherit from IdentityRole class and pass the new datatype to it, and the code will look, as shown below. Afterwards, we will make some change in our ApplicationDbContext class in order to open it. 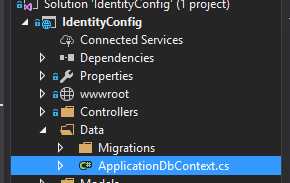 We need to add our new role and datatype IdentityDbContext to the class. It will look, as shown below. In the last step, we will need to reconfigure ConfigureServices method in the startup class. We need to make some changes in these lines. The code will look, as shown below. Now, we have all the required changes achieved but the last step will be the migration. This time, we have some new things like when you run add-migration command; you will see the warning, as shown below. When you try to run update-database, you will get an error told to you. To change the IDENTITY property of a column, the column needs to be dropped and recreated. Thus, we will drop the database and create it again. Drop the database command to remove the database and press Y. Remove all the migrations, which you have in Visual Studio. Now, go to the database to see our changes. You see now that id has int datatype and not nvarchar. Now, you can change an Identity column name, Identity table name, Identity primary key. I hope this is helpful to you. 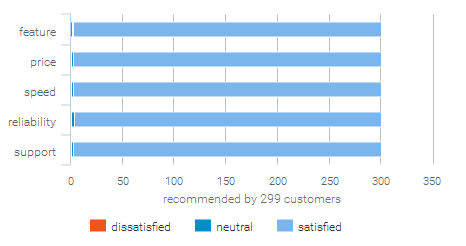 CheapASPNETHostingReview.com | Best and cheap ASP.NET Core 1.0 hosting. In this post we will talking about Authentication in ASP.NET for web API and Angular. Authentication in a single page application is a bit more special, if you just know the traditional ASP.NET way. To imagine that the app is a completely independent app like a mobile app helps. Token based authentication is the best solution for this kind of apps. In this post I’m going to try to describe a high level overview and to show a simple solution. There are many ways to protect your application out there. The simplest one is using an Azure Active Directory. You could also setup a separate authentication server, using IdentityServer4, to manage the users, roles and to provide a token based authentication. And that’s the key word: A Token Based Authentication is the solution for that case. With the token bases authentication, the client (the web client, the mobile app, and so on) gets a string based encrypted token after a successful log-in. The token also contains some user info and an info about how long the token will be valid. This token needs to be stored on the client side and needs to be submitted to the server every time you request a resource. Usually you use a HTTP header to submit that token. If the token is not longer valid you need to perform a new log-in. In one of our smaller projects, didn’t set-up a different authentication server and we didn’t use Azure AD, because we needed a fast and cheap solution. Cheap from the customers perspective. On the client side we used angular2-jwt, which is a Angular2 module that handles authentication tokens. It checks the validity, reads meta information out of it and so on. It also provides a wrapper around the Angular2 HTTP service. With this wrapper you are able to automatically pass that token via a HTTP header back to the server on every single request. The work flow is like this. the client stores the token in the local storage, cookie or whatever, to use it on every new request. The angular2-jwt does the most magic on the client for us. We just need to use it, to check the availability and the validity, every time we want to do a request to the server or every time we change the view. On the server side we also use a, separate open source project, called SimpleTokenProvider. This is really a pretty simple solution to authenticate the users, using his credentials and to create and provide the token. I would not recommend to use this way in a huge and critical solution, in that case you should choose the IdentiyServer or any other authentication like Azure AD to be more secure. The sources of that project need to be copied into your project and you possibly need to change some lines e. g. to authenticate the users against your database, or whatever you use to store the user data. This project provides a middle-ware, which is listening on a defined path, like /api/tokenauth/. This URL is called with a POST request by the log-in view of the client application. The authentication for the web API, is just using the token, sent with the current request. This is simply done with the built-in IdentiyMiddleware. That means, if ASP.NET MVC gets a request to a Controller or an Action with an AuthorizeAttribute, it checks the request for incoming Tokens. If the Token is valid, the user is authenticated. If the user is also in the right role, he gets authorized. We put the users role information as additional claims into the Token, so this information can be extracted out of that token and can be used in the application. To find the users and to identify the user, we use the given UserManager and SignInManager. These managers are bound to the IdentityDataContext. 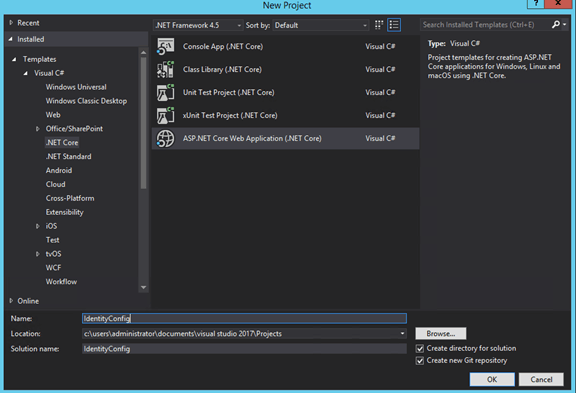 This classes are already available, when you create a new project with Identiy in Visual Studio. // Specifically add the jti (nonce), iat (issued timestamp), and sub (subject/user) claims. This code will not work, if you copy and past it in your application, but shows you what needs to be done to create a token and how the token is created and sent to the client. 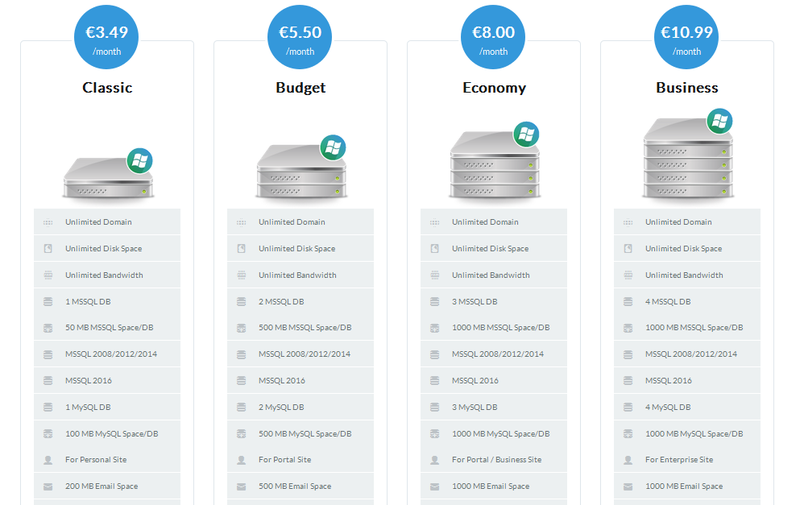 CheapASPNETHostingReview.com | Best and cheap ASP.NET core 1.0 hosting. If you’re new to ASP.NET Core or MVC Core, you’ll find that sessions don’t work the way they used to. Here’s how to get up and running the new way. 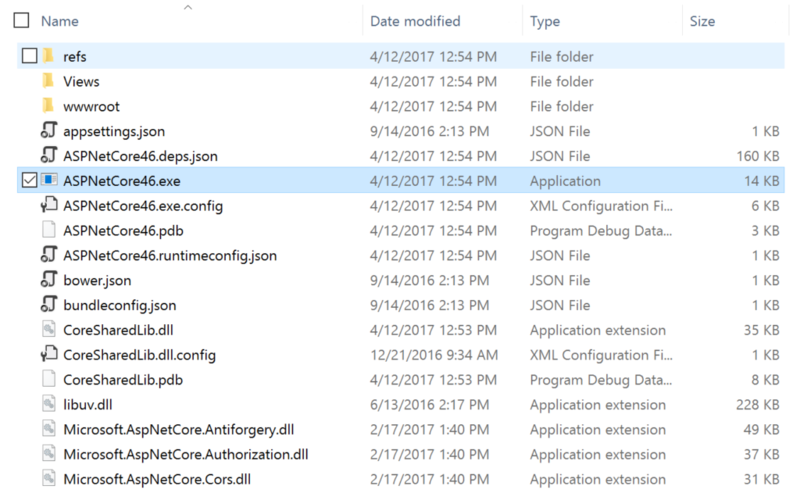 Add the Microsoft.AspNetCore.Session NuGet package to your project. VERSION WARNING: As you’ll find with most Microsoft. * packages, you should make sure the versions all match. At RTM time as of writing, this means “1.0.0”. Now that we have the Session nuget package installed, we can add sessions to the ASP.NET Core pipeline. Instead of using services.AddDistributedMemoryCache() which implements the default in-memory cache, you can use either of the following. Unfortunately, the redis package does not support netcoreapp1.0 at the moment. You can still use this if you’re using net451 or higher. Even though we’ve reached RTM, you should still keep an eye on the ASP.NET Session Repository for any changes. The file is self explantory, you can specify multiple file in the inputFiles element, which will be combined and minified based on the minify element. 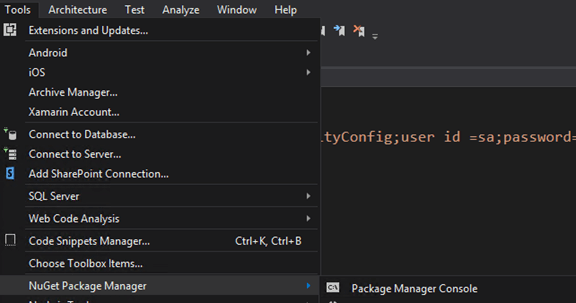 Now you can combine and minify using “dotnet bundle” command. Here is the output when I run the dotnet bundle command on my MVC project. You can integrate it to the development lifecycle by adding the dotnet build command in the “precompile” script section in project.json file. If you are using Yo ASP.NET generator, the project template will be using precompile script section in project.json. There are few more commands also available with dotnet bundle tool. dotnet bundle clean – Executing dotnet bundle clean will delete all output files from disk. dotnet bundle watch – To automatically run the bundler when input files change, call dotnet bundle watch. This will monitor any file changes to input files in the working directory and execute the bundler automatically. dotnet bundle help – Get help on how to use the CLI. 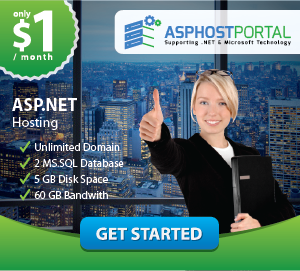 CheapASPNETHostingReview.com | Best and cheap ASP.NET Core 1.0 hosting. 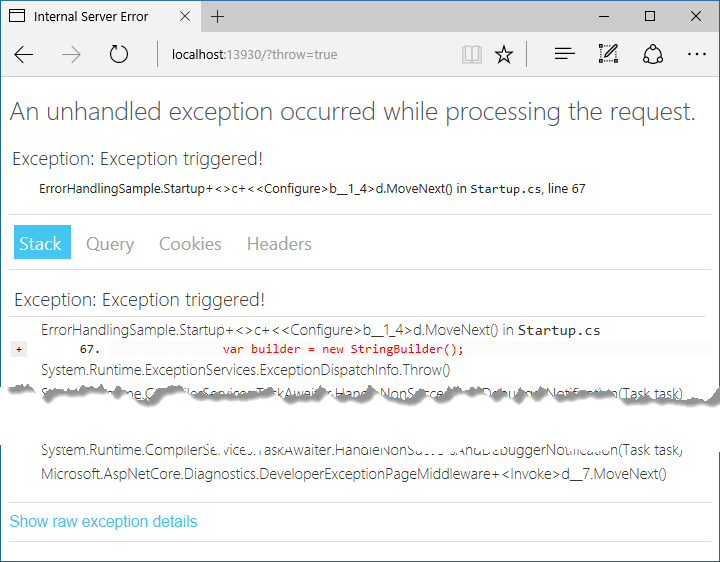 When errors occur in your ASP.NET Core app, you can handle them in a variety of ways, as described in this article. Put UseDeveloperExceptionPage before any middleware you want to catch exceptions in, such as app.UseMvc. To see the developer exception page, run the sample application with the environment set to Development, and add ?throw=true to the base URL of the app. The page includes several tabs with information about the exception and the request. The first tab includes a stack trace. The next tab shows the query string parameters, if any. This request didn’t have any cookies, but if it did, they would appear on the Cookies tab. You can see the headers that were passed in the last tab. 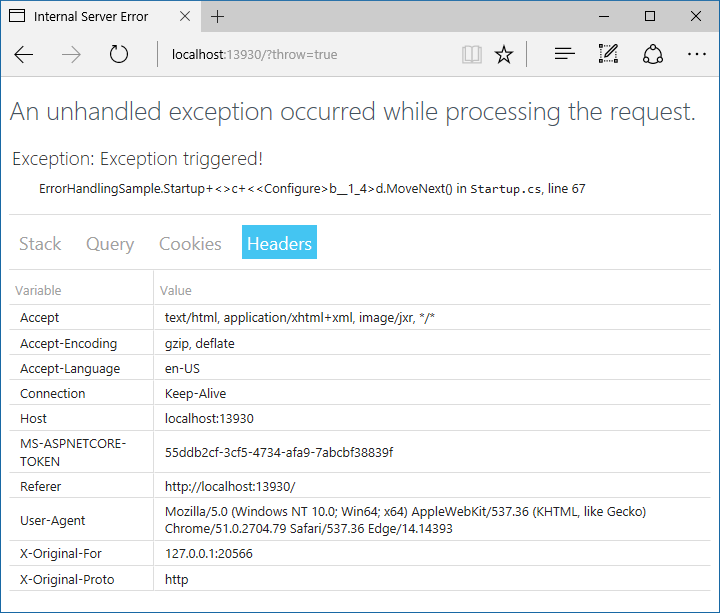 It’s a good idea to configure an exception handler page to use when the app is not running in the Development environment. In an MVC app, don’t explicitly decorate the error handler action method with HTTP method attributes, such as HttpGet. Using explicit verbs could prevent some requests from reaching the method. The middleware supports several different extension methods. One takes a lambda expression, another takes a content type and format string. There are also redirect extension methods. One sends a 302 status code to the client, and one returns the original status code to the client but also executes the handler for the redirect URL. Code in exception handling pages can throw exceptions. It’s often a good idea for production error pages to consist of purely static content. Also, be aware that once the headers for a response have been sent, you can’t change the response’s status code, nor can any exception pages or handlers run. The response must be completed or the connection aborted. In addition to the exception handling logic in your app, the server hosting your app will perform some exception handling. If the server catches an exception before the headers have been sent it sends a 500 Internal Server Error response with no body. If it catches an exception after the headers have been sent, it closes the connection. Requests that are not handled by your app will be handled by the server, and any exception that occurs will be handled by the server’s exception handling. Any custom error pages or exception handling middleware or filters you have configured for your app will not affect this behavior. 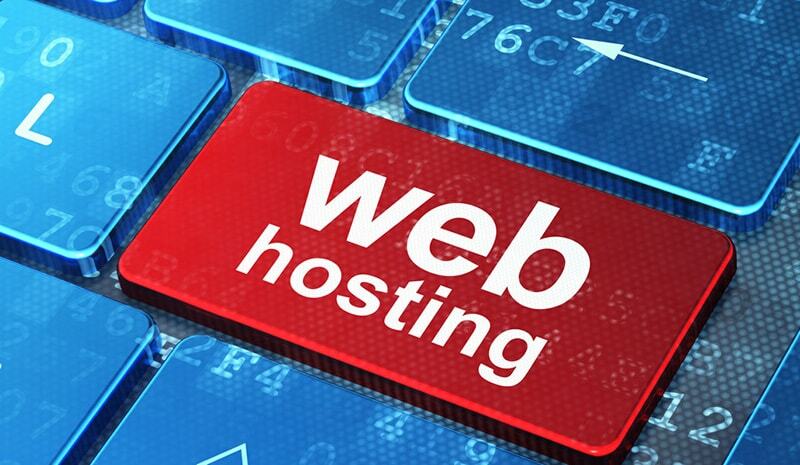 Only the hosting layer can handle exceptions that take place during app startup. Exceptions that occur during app startup can impact server behavior. For example, if an exception happens before you call KestrelServerOptions.UseHttps, the hosting layer catches the exception, starts the server, and displays an error page on the non-SSL port. If an exception happens after that line executes, the error page is served over HTTPS instead. You can configure how the host will behave in response to errors during startup using CaptureStartupErrors and the detailedErrors key. MVC apps have some additional options for handling errors, such as configuring exception filters and performing model validation. 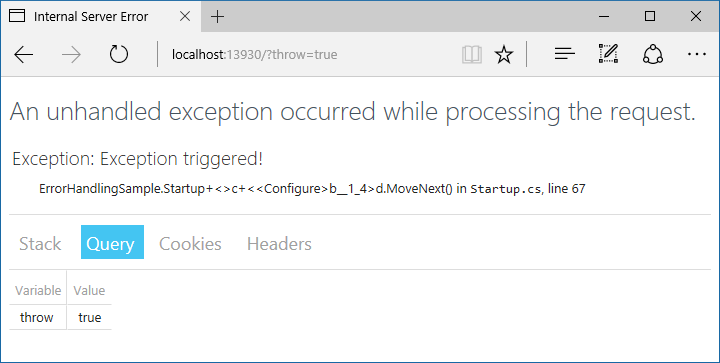 Exception filters are good for trapping exceptions that occur within MVC actions, but they’re not as flexible as error handling middleware. Prefer middleware for the general case, and use filters only where you need to do error handling differently based on which MVC action was chosen. Model validation occurs prior to each controller action being invoked, and it is the action method’s responsibility to inspect ModelState.IsValid and react appropriately. Some apps will choose to follow a standard convention for dealing with model validation errors, in which case a filter may be an appropriate place to implement such a policy. You should test how your actions behave with invalid model states.